He’s independent. It does my heart good. He still needs help and encouragement from time to time. I did at his age, too. He panicked last week when he locked his keys in the car while it was running. He tried to call to ask us to drive 70 miles to rescue him. Providentially, he couldn’t get ahold of Ralph or me, so he called his sister, Patty. She suggested that he go to the apartment complex office and borrow a key to get into his apartment to get his extra set of keys. “Really? You’re making tortillas from scratch?” I said. 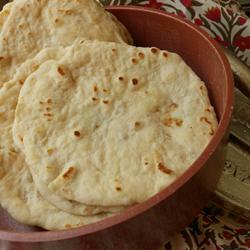 “They taste much better than the tortillas I buy at the store and are easy to make. I am making these from now on.” He said. This is my boy who could barely make a grilled cheese sandwich before he left home. The first few weekends in his apartment, Ralph showed him how to make spaghetti, barbecue, and chili, and they packed meal sized portions for the freezer. Will has been cooking all of these since he started living on his own. He does more once a month cooking than I ever did. I have never made tortillas either. Last year he asked for a rice cooker for Christmas, and a hand mixer for his birthday. This year he would like a large frying pan or pot with own lid for his birthday. He is quite a cook. When we go to visit him next weekend for his birthday, I’ll bring the pan with lid. He also asked me to make chicken and dumplings for his birthday meal. He listed the spices in his cupboard and asked if he had everything he needed. He is going to buy the other ingredients, too. He just wants me to make it. That does my heart good, too. When Will was diagnosed with autism at seven years old, I thought he might live with me the rest of his life. This ship has definitely left the harbor. I love it. It always does my heart good to read your stories. Thank you. Your stories bring back a lot of sweet memories. Thanks so much for this post. It offers so much hope for the rest of us! One day at a time…step by step…repetition. My son John is 15. He makes his own meals now, does his laundry, and helps with a lot of the housework. He just started high school, and he’s struggling. It’s very uplifting to read about Will’s success. Thank you for visiting my blog! We got our Will involved in music – marching band. That gave him a support group that wasn’t centered around autism. Perhaps there is a club in high school that he could become a part of. A smaller group. You are doing a good job of teaching him life skills. Thank you! John loves animation and drawing, so we’re working on getting him to join the anime club. Drama might be an option too. Tonight Will had to make a second go at supper. He made spaghetti, but one of his cats caused him to drop half of it on the floor. He made corn dogs instead, and packed the other half of the spaghetti for lunch tomorrow. He has become resourceful. I have no idea how he handled it emotionally – but that is not my responsibility anymore. So happy both for you and your son! Useful and heart warming. Thank you!